Standard #6 wood screws with dry lube finish and Square-X drive that uses #2 Square-Drive or Phillips bit. Completely dry to the touch, the lube finish reduces friction for easier installation and protects the screws from surface rust. Square-X drive combines a square recess for non-slip fastening and Phillips for convenience. Sharp thread angle cuts into wood to prevent splitting. Screws resists pullout with threads that cut nearly perpendicular. Slight but strong body minimizes distortion of material. Sharp point digs in with pin point accuracy. 1", 1-1/2", 1-1/4", 3/4", 5/8"
I love square drive screws. Virtually no camming out. These are very consistent and dig in extremely well. Rockler has some of the best screws. I frame and build an outdoor haunted house every year, and these are the only screws I use. I use all the sizes, and because of the square drive I can always remove and reuse them when I disassemble it every year. Great screws. They are my go to assembly screw. The combination head and lubrication make them easy to use and they hold great. These were used to attach the border/banding around some very old wood for the top of the island - the fact they were lube finished saved the hassle of using soap or wax to keep the screws going in without twist-offs. I have a lot of trouble with Phillips head screws stripping out as I use them. The square drive screws are wonderful. No snipping, no slipping, just work well. This is my third order of Rockler square drive screws. Very strong and easy to start/drive. Great finish. great product, great service. Hard to get sizes, I've used them for years. I use strictly square head screws on 95 percent of all my projects. Are awesome if you never used them I suggest you try them they will become your best friend. The square-X drive finished screws are the only ones from Rockler that are in my shop. They are used in my small projects to a Murphy bed. I own a furniture repair business and use almost nothing but these screws. The head makes for very minimal slippage when driving screws. Also you can depend on them never breaking. Sometimes with furniture repair you have one shot to put a screw into a small area of wood. If it snaps you are done. You can really crank on these and trust that they won't snap. Only screws i ever use and have for years. No slip, no strip. So many variations of square drive screws to use for every situation. Square drive screws are the only way to go. They very, very rarely slip or strip, are easy to drive and remove and they stay on the bit much better. Having lived in Canada for twelve years before returning to the USA, I have become a square drive enthusiast. In Canada, square head screws are common and Philips are rare. I did some research and found that around the time the Philips was developed, in 1909 a man named P.L. 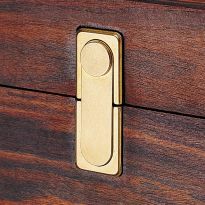 Robertson patented the square drive. The patent ran out in 1964 so the screws are called square drive now instead of Roberston which they are still known by in Canada. Philips was an American and Roberston a Canadian, so their designs caught on in their respective countries. I avidly dislike the Philips screw. It is lousy for many reasons. The square drive is stronger, easier to hold on the bit and seldom does the bit slip off the screw. The Square X is the best of the best because the bit torques the screw toward the middle of the face of each of the 4 sides of the bit. The bits do not round out as badly with the Square X. I have used these screws for 15 years and have tried other high end screws from other mail order woodworking supplies. The Square X is the best. They are also very strong. I don't remember ever breaking one, even in oak or maple. The price and quality of these screws is fantastic. Well worth it. I have these screws for many years after using other brands and your screws drive easer and work great on most all types fo projects around shop and home. The prices are good and time of delivery is great. 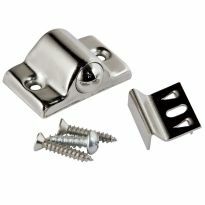 I used these screws to build a toybox for my granddaughter, and I don't want any failures.This toybox will last her a lifetime. 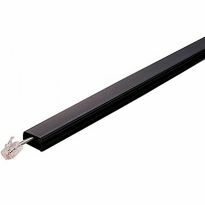 Drives in hardwoods easily, A MUST for any project that requires screws! 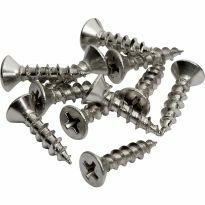 I use these screws for my bird houses and feeders. They work great and hold up outside great. I would reccommend them to anyone who needs a small profile screw with a big bite. The outstanding drive characteristics of these screws makes them almost impossible to strip and are much easier to drive. I highly recommend them. The screws work just fine with a square-bit driver, which is how I use them. They don't work so well with a Phillips driver, but can be used that way if you're patient. I used a Rockler square drive bit and had virtually no cam out! The square drive just barely fits into the shallow socket so the screws are a bit difficult to drive. This is the only screw that I have ever seen with this problem. I wouldn't buy again. tough time getting them back out. Like the size in general. Don’t need a spike to put two pieces of wood together. Also like extra torque and the non-slip square drive. ALWAYS use square drive woodworking. Convenient to order. Want to try them to see if they are of decent quality. 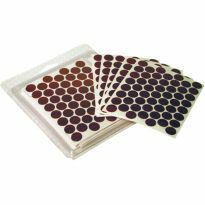 I use these on all my projects. I chose these screws for the square drive. I've purchased them before and they are excellent. The right size for my project. I like to make shelves / shadow boxes / etc., as a hobby and I have difficulty finding the type of screws I need. great screws, can't find anywhere else. Basically to bump the bottom line up over the $35 threshhold to avoid shipping costs. I like them and not available near by. Type of screw that I use. 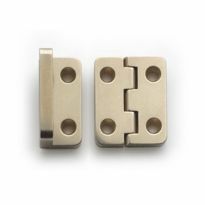 Square drive does not strip and provides solid contact with the square driving bit. These are good screws to have around. Have used the Square-X #6's and #8's for some time, they go in easily and the square drive doesn't cam out as much as a Phillips head. I prefer square drive screws. These things are the BEST. I have never had one break or had the head strip. Have purchased these before and love them! I was running out of screws. These screws are very strong and they don't split the wood. What color are these screws? BEST ANSWER: Screws are a dark grey or gunmetal color. What size drill bit would one use for a #6 screw? If i am correct a #6 is a little smaller around than a #8? I love these square X drive screws they greatly reduce the chance of slipping. BEST ANSWER: The diameter of the drill bit should be the same as that of the shaft of the screw, not the threads. This should provide a tight fit for the threads without the danger of splitting the wood from using a bit that's too small. If the bit is the same size as the threads then the screw will not hold. can these screws be used for exterior projects next to the ocean.? BEST ANSWER: I don't think so. The lube finish provides an antiqued finish - not real bright - which I think is the only attraction of these. If you really want "ocean proof" durability I would go for stainless steel. The only trouble with stainless steel is I think they require pre-drilling and be careful not to over tighten (and they cost more). No! 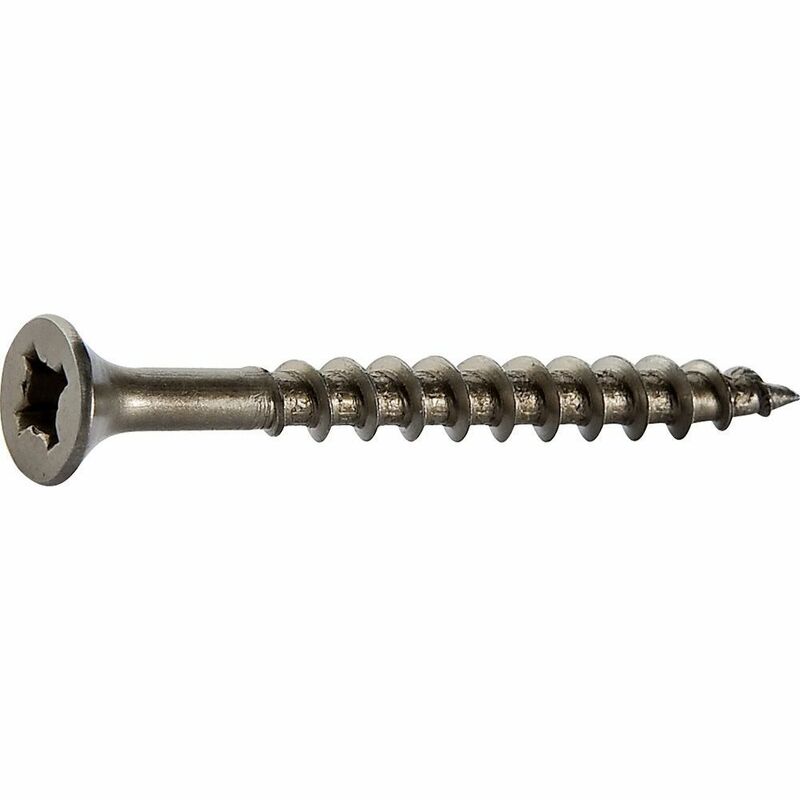 What you need to use are stainless steel screws. These will last longer and not rust and bleed through the wood. What is thread count per inch on #6 square drive wood screws? BEST ANSWER: Roughly 11 to the inch. What is the width of the screw head?